We had a wonderful sunny afternoon to host our Primary Schools Football tournament! Who would have thought blue sky, gorgeous sun and the girls would need to seek shade at the end of September? 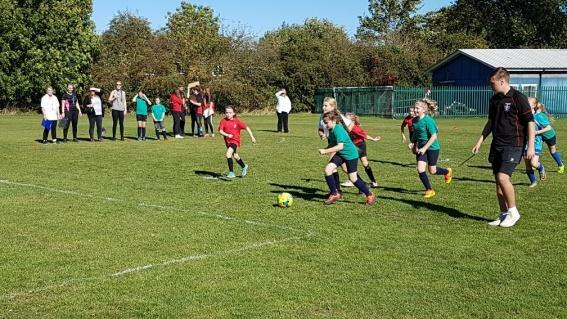 Eight 5-aside girls’ football teams came to compete in our cluster competition. 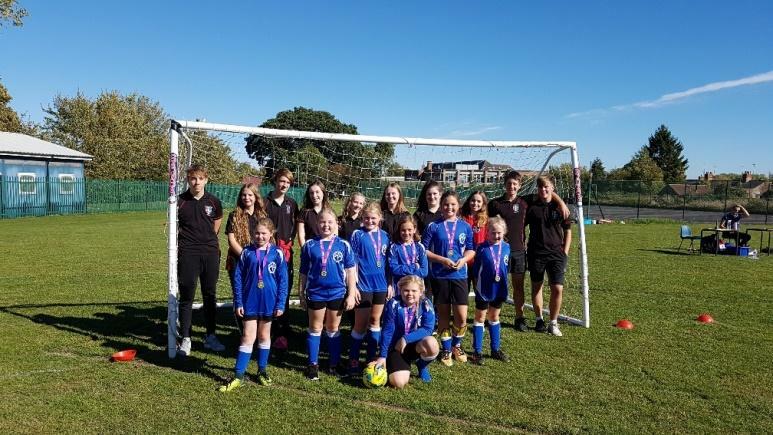 For some girls it was their first ever experience playing competitive football and for others they were able to put their skills to the test against the brave and the courageous. Over all 60 goals were scored in total with many more saved! 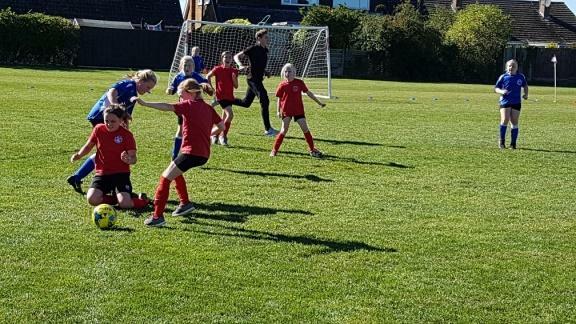 The play-offs took place after 6 rounds and the gold/silver match took place between Towcester Primary and Greens Norton. Towcester eventually took the title after a well fought game with the final score being 2-1, which took their total of goals score overall to a massive 16 – well done Towcester. Without our Sponne Leaders these events cannot take place and yet again I was very proud at the way our young people conducted themselves, organising, refereeing, encouraging and cheering on all of our young visitors. Thank you Sponne leaders, you are fantastic.